Skillful Orland Park post decree modification lawyer. Going through a divorce can be a difficult and stressful process. Once the divorce is final, people can begin to move on with their lives. However, sometimes changes are necessary after the divorce decree has been finalized. Changes, known as modifications, can only be made through the courts. An experienced Orland Park post decree modification lawyer will be able to assist you through the process to achieve the results you desire. Johnson & Johnson, Ltd. is passionate in providing high-quality legal expertise for those who require divorce modifications. Sometimes, provisions for how future changes are to be handled are part of the original divorce decree. However, regardless of the terms, sometimes it is in your best interest, and the best interest of your children, to make modifications. For example, changes are often required when the life circumstances of one or the other party change significantly. An Orland Park post decree modification lawyer will assist you to determine when a divorce modification is necessary. While a person may feel that a change in situation warrants a modification, the change must qualify in order to be heard in court. Illinois law states that a change must be substantial in nature in order to be considered. 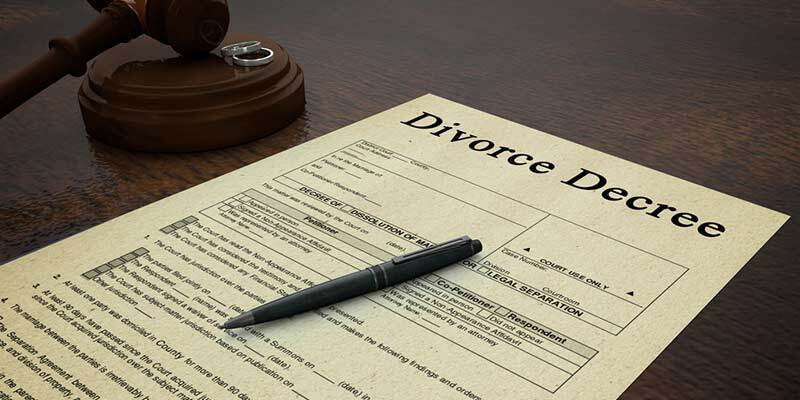 If you feel that a post divorce change is needed, it is best to speak to a qualified Orland Park post decree modification lawyer. Your attorney will review the details of the situation to help determine whether the request qualifies for a hearing. If so, your attorney will file the necessary paperwork required to get the process started. A hearing must be requested for a post decree modification. Both parties will attend the hearing in front of a family court judge. The judge will listen to both sides to determine whether the modification is founded and whether it will be granted. A skilled Orland Park post decree modification lawyer will represent you, help you prepare for the hearing, and gather the necessary documentation and evidence necessary for your case. Every effort will be made to ensure that your modification is properly assessed and resolved in the best possible way. If your matter is urgent, your attorney will make the necessary requests for an emergency hearing if possible. It is important to note that modifications must be done legally through the court system. While it may be tempting to take matters into your own hands, this will not benefit you in the long term. An Orland Park post decree modification lawyer understands your problem and will compassionately work to resolve it through the proper legal channels. Even minor modifications should be done properly to ensure that your rights are protected. When one party deems it necessary to request changes to a settlement it is helpful to enlist the help of a reputable Orland Park post decree modification lawyer. Whether you are the party requesting changes or the responding party, you need to be as prepared as possible before going before the judge. You will be allowed to present your case, which will be greatly enhanced with input from your attorney. Remember, regarding children issues, that the court will always try to do what is in the best interest of the children involved. Not all requested changes are approved and ordered by the court. However, the process for qualification greatly reduces the number of unwarranted cases that go before the judges. If your requested modifications are necessary and meet the standards of the court, your request will be granted. Your lawyer will work tirelessly to assist you in providing the evidence needed by the court to approve your request. If you are opposed to a modification that has been submitted by your former spouse, your lawyer will work to present information that will show the judge why the modification should be denied. The attorneys at Johnson & Johnson, Ltd. are experienced Orland Park Post decree modification lawyers. Contact us today to schedule a consultation to review your necessary divorce modification.